If you’re moving abroad then you’re probably hoping to start a new life, but that doesn’t mean you want everything to be new. Better weather, different food and a new job are all very exciting, but there are some things that you just can’t leave behind when you move. Children and pets are (hopefully) first on the list, followed closely by your furniture. When moving furniture overseas, it’s vital that your belongings are given the utmost care. You’ll probably be shipping items such as lights, dishes and electrical appliances, so there’s a lot that could go wrong. After all, you don’t want to arrive in a new country to find your furniture has got damaged during the transportation process. This guide gives you a complete rundown of how to ship furniture overseas. We’ll cover the costs involved, what to take and what to leave behind, and how to properly wrap and pack your furniture (including the more tricky items like mirrors). By following our tips, your furniture should arrive in its new home safe and sound. 01 | How much does it cost to ship furniture overseas? 02 | Should I do my own packing? How much does it cost to ship furniture overseas? to ship your furniture overseas. 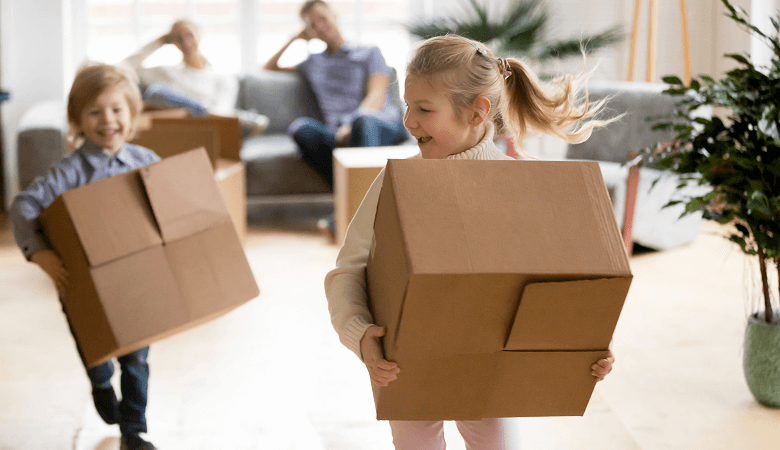 How much you’ll pay will depend on several factors, such as how much furniture you’re moving, where you’re moving it to and from, and whether you move it by sea or air. to ship the contents of the same house on the same route by air. The table below gives you a rough estimate of how much it costs to move your furniture abroad from the UK by air and sea. You can use our page on international container shipping costs to get a better idea, or enter your details at the top of the page to get up to six free quotes. Please note: these costs are for moving the contents of a three-bedroom house and exclude add-ons such as door-to-door delivery, professional packing/unpacking and basic insurance cover. Our shipping suppliers normally incorporate these services into their prices, so expect some discrepancy between the rates given here and the quotes you receive. When shipping furniture overseas, there are other costs to consider including: the disassembly and reassembly of your furniture, the packing and unpacking of it, the loading, unloading and transportation of it to and from the port/airport, and even the cleaning of your possessions and your home. Professional removal companies offer all of these jobs as part of their overall service, but of course they come with a fee. The table below shows you how much removals companies typically charge for these add-ons. Prices are based on a three-bedroom house that’s moving its furniture abroad. Should I do my own packing? As you can see from the table above, you can save a lot of money by disassembling and packing your furniture yourself rather than paying a removals company to do it for you. In fact, doing your own packing can cut costs by as much as 50%. You just need to make sure you a) buy good quality packing materials, and b) pack your furniture properly. Read on to get our top tips on what packing materials to get and how to pack your furniture, whatever its shape or size. Once you have all the packing materials you need, you should create a plan for your packing. Here’s our plan for how you should create your plan. There’s no such thing as overplanning. 1. Check all the details of your new place. Make sure you know about any furniture that’s over there. There’s no point dragging a wardrobe across the ocean if your new home has already got a built-in one. You also need to know the exact dimensions of your new home, especially the doorways. After all, there’s nothing worse than arriving to find your sofa can’t fit through the front door. 2. Create an inventory of your furniture. Grab a pen and paper and list all the items of furniture in your house. A nice, clear list can really help you get a better understanding of what you need to bring with you. Once you’ve listed everything, you can go through it and cut it down. Look for any duplicates or items you don’t use or no longer need, cross them out. 3. Inspect your furniture. If you’ve got small children or pets, then you probably inspect your furniture fairly regularly for damage. You need to check the condition of each item and take photographs of any existing wear and tear. That way, if anything gets bumped in transit then you can prove it and claim on insurance (if you have it). You should also be inspecting your most delicate pieces of furniture and deciding whether they need professional packing. 4. Choose your packing materials. There’s more to this than boxes and sellotape. Overseas packing presents a whole world of wonderful materials, such as corrugated cardboard sheets, furniture blankets and plastic stretch wrap. Once you’ve decided on which items you want to bring, you should consider the materials you’ll need to pack them (see below for more information). Write it all down and then add a bit more for good measure. 5. Find some strong friends. If you’ve got friends with big arms who are happy to help you, they can be a lot cheaper than hiring professional packers. Just don’t leave it until the last minute to ask them. Decide on the date(s) you’ll be packing your stuff and tell your pals. 6. Get started. A proper plan will make sure you don’t waste any time or money packing stuff that you shouldn’t or can’t bring. It will also prepare you with all the right materials and assistance. Then all you need to do is get packing! You need to wrap and pack your furniture properly, but good luck wrapping and packing properly without the right materials. Sturdy packing equipment is essential if you want your furniture to arrive in one piece. Sealable plastic bags Well done, you’ve dismantled your furniture, but where are you going to put all the screws and small parts? If you’re using a professional packing company, they will provide you with all the necessary equipment and include it in the overall cost. However, if you’ve decided to go it alone then there are loads of options when it comes to finding packing materials. There’s certainly no shortage of packaging wholesalers online, such as U-Haul, Kite Packaging or Amazon. You could also try your local hardware shop or visit a nearby supermarket to see if they have any spare boxes lying around. There will always be things at home you can use too, such as blankets and duvets (for padding) and sandwich bags to store nuts and bolts. However, you must not skimp on the quality of your materials. If your furniture is important enough to come with you, it deserves to be wrapped up safely and properly. Large corrugated cardboard boxes typically cost between £1 and £2, while standard 10-metre rolls of bubble wrap cost around £5. The less you bring, the less you pay. Obviously there will be some pieces of furniture that you just won’t be able to leave behind, but you’ll probably find you can part with some of your stuff. Have a think about these questions before you prepare your final list of items to ship abroad. To find other ways to cut costs when moving furniture overseas, check out our guide to the cheapest ways to move abroad. Will it be cheaper just to buy it again in your new country? Some things are irreplaceable, but other things can easily be replaced (like an IKEA desk chair). Consider the cost of shipping something versus the cost of buying it new. What will the weather be like? Wooden furniture is actually very sensitive to the weather, and so is leather. If you’re going somewhere humid then your antique pieces might suffer, while very dry weather is not good for fine furniture. New, thick furniture is your best all-rounder here. Will it actually fit? Make sure there’s space in your new home for every item you want to bring. Checking the width of your new doorway is a must. Do you really need it? Has a bulky kitchen appliance been collecting dust in the back of a cupboard? If you can think of a friend who might make better use of something than you are, maybe it’s time to hand it over. Likewise, selling stuff on websites like Gumtree and eBay is super easy. None of your furniture should be exposed or loosely packed. Give all your boxes a good shake and if anything rattles, then you’ve done it wrong. If you can see the leg of a chair or the corner of a table, start again. These tips should help you avoid all the common packing errors. Use space intelligently. If you’re bringing any cabinets or chests of drawers, you may as well make full use of them. While you’re packing, gather together all the smaller items that you’re taking with you and then put them inside the drawers. However, the drawers themselves must be removed before transit. Just shrink-wrap them so their contents stays in place. Disassemble everything you can. It might feel a bit sad pulling apart your favourite pieces of furniture, but they need to be as compact as possible. If something can be dismantled in any way then you should dismantle it. Bed frames, tables, chairs, wardrobes… You can use small, sealable plastic bags to put the screws and small parts in. Just make sure you take pictures or notes while you disassemble items so you know how to put them back together again. Look after your fragile items. When it comes to packing your delicate items, give it everything you’ve got. Corrugated cardboard sheets, bubble wrap, blankets, the whole lot. Remove any glass parts (if possible) from your pieces of furniture and wrap them separately. If they can’t be removed then put cardboard cutouts around them. Tape a big ‘X’ on any glass surfaces so, if they do break, they probably won’t shatter. Don’t overfill boxes. None of your boxes should weigh more than 30 pounds. Boxes heavier than this probably won’t withstand the weight and you could seriously hurt your back trying to lift them. To avoid putting too much in a box, pack light items in big boxes and heavy items in small boxes. Protect the corners. Of everything you’re bringing, the corners of your furniture will be most at risk of damage during the move day. You can buy special ‘furniture corner protectors’ that are perfect for the job, although pieces of thick cardboard are also very effective. Go easy on the shrink wrap. This industrial cling film is brilliant at holding your stuff in place and protecting it from dirt. However, it doesn’t get along with wooden furniture. It causes moisture stains and it can damage the varnish. For wooden items, you’ll need to find an alternative wrapping material such as cardboard and bubble wrap. Add wax. Speaking of delicate wooden furniture, you can go one step further when it comes to protecting your expensive surfaces. A layer of ‘finishing wax’, applied with a microfibre cloth, is a great way to prevent your wooden furniture from getting any scratches along the way. Start packing early. Packing will take longer than you think, so it’s good to get started early. A couple of months before the move date is best. Refer back to your list of furniture and highlight the items that you won’t need until after you’ve moved. You should pack these first, working down the list toward the items that you use most regularly. If those tips weren’t detailed enough for you, we’ve also got some great tips on how to pack specific items for their move abroad. Sofas, mirrors, tables – we’ve got you covered. Broken mirrors are bad luck, so you don’t want to be sending one to your new home! Firstly, it’s important that you tape a big ‘X’ on the surface of your mirror. This way, if the mirror cracks then it’s much less likely to shatter and send shards of glass everywhere. Cover your mirror in bubble wrap, lay a sheet of corrugated cardboard on either side and then secure everything with tape. You can then wrap it in a big blanket for extra protection. Don’t forget to put separate pieces of thick cardboard around each corner of the mirror. There’s nothing nicer than a really beautiful lamp to light up your living room, so you don’t want to go damaging it. Remove the bulb and the lampshade first and pack them separately. You’ll be left with a headless lamp and a long wire. Wrap the wire around the body of the lamp and secure everything with masking tape. Cover the lamp with bubble wrap and place it in a suitably sized box. You’ll want to cushion the lamp with some crumpled newspaper, too. Most of us spend a fairly large part of our lives sitting on couches and watching television, so it’s important that they do the job properly. If you’re bringing your sofa, the first thing you need to do is try to remove its legs if possible. It sounds gruesome but it will help you get it through all the doorways. Take off all the covers and cushions and pack them separately along with the legs. After that, things get a bit fiddly, but it’s all necessary. You need to disassemble the frame. Turn the sofa on its back and remove the staples at the base with a Flathead screwdriver. This should allow you to take off (or at least roll back) the upholstery, exposing most of the sofa’s frame. Using a screwdriver or an Allen wrench, remove the screws and bolts that hold the arms, the seat and the back of the sofa together. You should be left with a pile of upholstery, pieces of wooden frame and screws. Make sure everything is wrapped thoroughly and safely – a dismantled sofa is still prone to damage if it isn’t packed properly. We recommend taking photos while you work, too, so you know how to reassemble the sofa again once it’s in its new home. If you work from home (and your work involves a desk) then a quality desk chair is a big priority. Fortunately, most desk chairs are really easy to disassemble. Start by pulling off the wheels – most desk chairs have wheels that pop off pretty easily. After that, there should be a knob on the bottom of the seat that you can turn until the seat is loose enough to remove. Do the same with the back of the chair. You’ll then be left with just the chair’s central structure. Cover each part in bubble wrap and box it all up. If your chair looks difficult to disassemble then simply refer to the original instruction manual (if you still have it). This is quite easy. Turn the table upside down and remove all the legs. This should be pretty easy to unscrew but it may take a bit of elbow grease. Most table legs are attached by something called a ‘leg assembly’, which is a combination of screws and braces. Go at it with a decent screwdriver and you should be done in no time. Once the legs are off, wrap them in a combination of cardboard and bubble wrap. The table itself should be protected by a thick blanket and a few sheets of corrugated cardboard. Make sure you’ve done everything properly; if your table gets damaged on the way then you might be eating your first meal in your new home off the floor. You’ll have other belongings that don’t classify as furniture but are still worth a quick mention. It’s fairly simple; if the item is small enough, just put it in a box. Dishes, glasses and crockery should go in robust cardboard boxes, although you shouldn’t put too many things in one box. Use blankets and newspaper to make sure small delicate items won’t hit each other during their time in transit. Dish towels and kitchen roll are also useful ways to create buffers without adding too much weight to your cargo. Similarly, books should go in boxes but never too many in the same box as it will become too heavy to carry. When you hear the word ‘quarantine’, you probably think about people and pets. Well, you should think about furniture too. Some countries , such as Australia, have some serious restrictions on the cargo that people import, and they can get really fussy about items of furniture that appear unclean. Small things like bits of dust, dirt and mold can have a damaging effect on local ecosystems, so you need to arrive with your cargo looking pretty spotless. If a customs official finds one dirty item of furniture then they might end up unpacking everything, and you don’t want that. Obviously gardening items such as tools and outdoor furniture are the main culprits for bringing dirt into other countries, but all your indoor furniture needs a proper inspection too. It sounds a bit gross but wood is a popular place for tiny insects, so you need to check it for signs of infestation (eg. tiny holes). The other incentive to dust and clean your belongings is that is reduces the chances of stains and scratches during transit. Spend a bit of time sprucing up your furniture and you’ll be doing everyone a favour. We hope this page has made you feel super confident about packing everything yourself, but we also understand that professional assistance during such a stressful time is invaluable. A moving company will come round to your house and do the relevant preparation, assessing all the items you’d like to bring and deciding what materials are required. After that, they’ll pack everything with great care and load it onto the container for you. It sounds wonderfully helpful, but then again some people relish a challenge. Especially if the challenge saves you a lot of money. Just do everything properly and you’ll avoid the horror of smashed mirrors, broken tables and wobbly chairs. To start collecting quotes for your big move, fill in the form at the top of the page and our suppliers will be in touch with a price tailored to your moving needs. How much does it cost to move furniture abroad? The cost of moving furniture abroad depends on a number of factors including how much furniture you’re moving, where you’re moving it to and from, and whether you move it by air, sea or land. In general, you should expect to pay anywhere between £1,000 and £3,000 to move your furniture overseas. Additional services such as hiring a professional company to pack your furniture will drive up the cost. How can I move abroad cheaply? It is possible to cut costs when moving abroad. Transporting your belongings by sea instead of air, selling the possessions you no longer need, and packing your stuff yourself can help save you a bit of money. Check out our guide on the cheapest ways to move abroad for more advice on how to cut moving costs. How do you move pets abroad? Moving your pet abroad requires a lot of planning. Firstly, your pet will need to make a visit to the vets and undergo a series of medical checks to obtain a pet health certificate. You’ll then need to buy a suitable travel crate and book your pet onto a flight to its destination country – either in the cabin or the hold. Once it’s arrived in its new country, your pet will have to pass through customs and (possibly) quarantine before it’s allowed to go home. For a full rundown on how to move your pet abroad and the costs involved, visit our guide to pet relocation costs.